I hope you ALL are spending the day exactly how you had planned, and that you are healthy, safe, and happy during this wonderful time of the year. 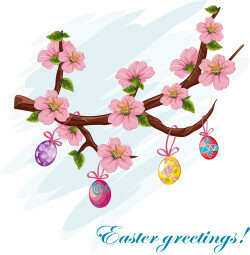 Happy Easter Danna and all the cozy mystery readers! Danna Have you tried Hope Callahan. Here’s a free one today only at Amazon. Kathleen, thanks for telling us about the 2nd book in her series. Happy and blessed Easter you. Happy Easter to you as well! May His Peace, Love and Joy be with you and your family. Happy Easter to you, Danna! Thanks for bringing year-round joy to all of us with your terrific blog. Hope you’re having a great day. Happy Easter Danna. I’ve only seen pictures of the cherry tree blossoms and can only imagine the beauty in person. How nice to be able to spend time with your daughter. I hope everyone had a wonderful Easter! Thank you for all your well-wishes.